No reassurance shield after the 347 junction. 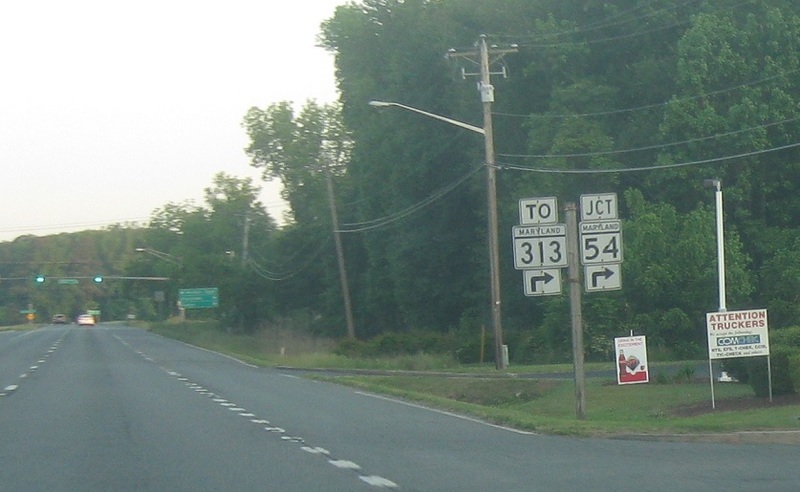 Shortly thereafter, we’ll approach Marylands 54 and 313. 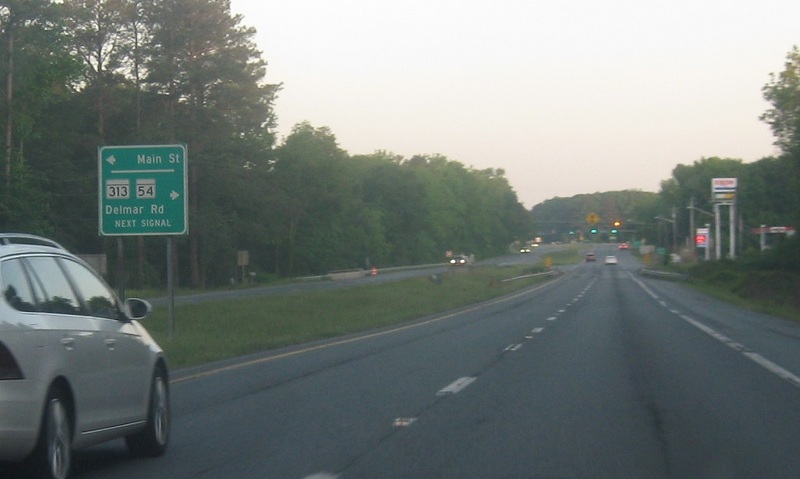 MD 54 heads along the state line over to Delmar while 313 heads north toward Federalsburg. 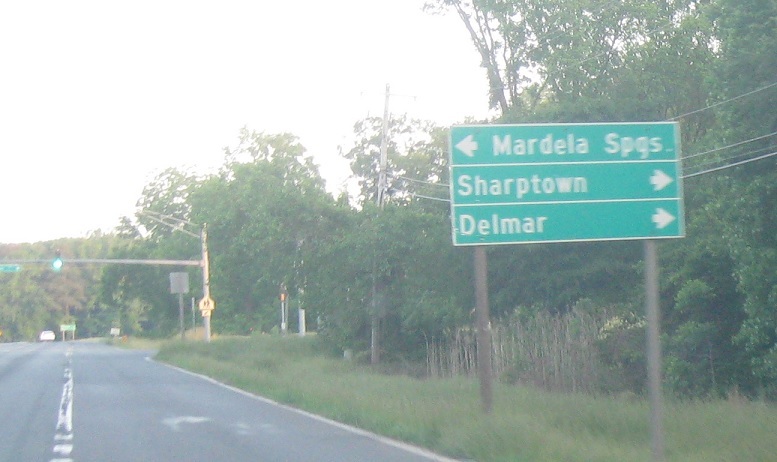 313 north heads to Sharptown while 54 east heads to Delmar. Turn left to follow a local road into Mandela Springs.